Are you in search of a free ebook template to jump-start your digital product creation? 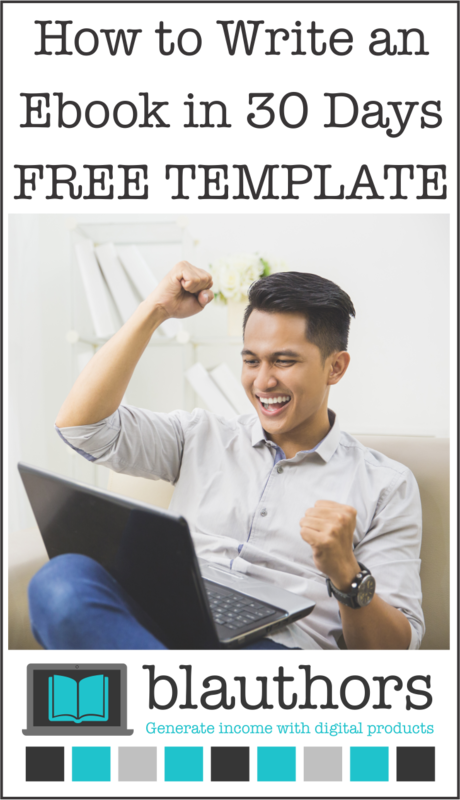 This free ebook template is big! I have written hundreds of ebooks and printable packs over the past decade. In general, I tend to follow the same format and have created some templates to help me streamline the process. This, in turn, has allowed me to create ebooks in a shorter amount of time resulting in a larger profit margin (in fact currently I am on track to increase my sales by 60% this year). That is not pocket change! This free ebook template download will help you get your ebook done in a short amount of time and keep you focused. Writing a blog takes drive, persistence and a little bit of risk. We write and hope for the best that our readers will enjoy the post and more importantly share the post to reach new readers. An ebook requires more of your time so you want to plan it out correctly. I created this FREE ebook template with a step by step guide format to help walk you through each step when writing an ebook. It is organized by each day to help keep you moving along. Each section offers additional questions and statements to fill out to help you to quickly and succinctly write your ebook in just 30 days. The most important thing to remember is to not get overwhelmed. Sometimes, I will come up with an idea for an ebook, start writing but get about halfway through the process and feel like bailing. I may be sick of the topic or tired or revising the document. Instead of forgetting about the title, I will set it aside for a few days. I will focus on the blog or new research for my next topic. After a few days, I return to the ebook I was working on usually with renewed interest and occasionally new ideas to add. I make up for any time I lost along the schedule by blocking my time. I will make sure I sit down to work for a few solid hours to bang out more pages. Once I get over the hump and can see what I accomplished it is usually downhill until the ebook is complete. And of course, the thrill of finishing it makes me want to write the next one. I spend some time marketing the new ebook and usually start work on the next one a few days later. The sense of accomplishment I get from perusing the finished PDF is wonderful. No matter how many ebooks I have written, the first sale still gets me excited. Why not get started on your ebook? 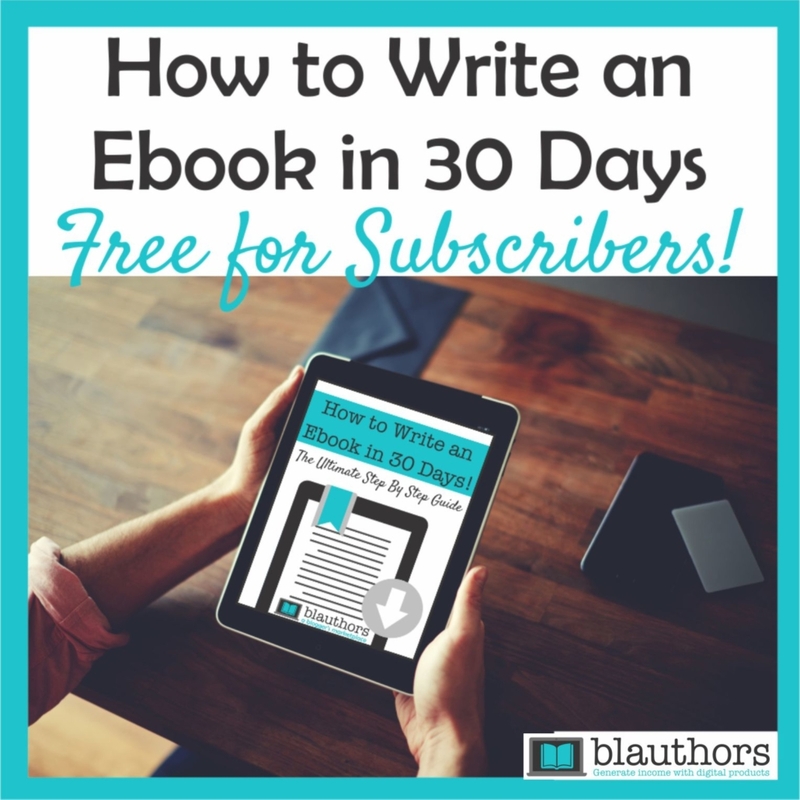 You can download your FREE How to Write an Ebook in 30 Days PDF document by signing up to receive our newsletter below. You will be redirected to the link after you submit your email address. Do you need even more ideas to help you get started with your business creating digital products? If you are just starting out, you most likely need to learn how to build a brand online. Maybe you are an established online business and need to rebrand or focus on one overall look for your brand. In general, your brand is the image that people observe, develop, and relate to. It connects you to your customers and prospects. The branding process, including the planning and decision process, is important. These decisions have an impact on your future success. By working through these 10 steps, you’ll have established a solid brand and a plan to move forward and integrate it into all of your marketing and sales efforts. 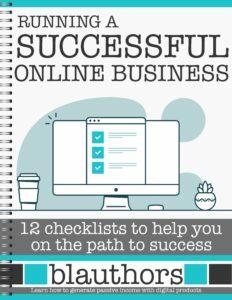 Already written your ebook? Product launches are generally task-heavy and time-consuming. It can make you feel like you have no clue where to start. Besides creating the product, there’s pre-marketing work to be done to create excitement and buzz about the product. There’re tasks to be completed and monitored during the launch and there’s work to be done post-launch to keep up the momentum. Here are 10 steps to launching your product. Maybe you struggle to come with up ideas for email opt-ins or profitable digital content? Many times bloggers think that advertising is a way to go and work so hard to get page views to earn advertising revenue. For me, I have always done the opposite. I create content to provide value to my readers and to offer products that solve a problem for them. Mostly to save them time. Since we ALL need more time! So hopefully, this list of 100 digital product ideas that you can create in less than a few hours will provide value to you and save you time. Not sure where to start? Send me an email, maybe I can help! Why I Will NOT Run Paid Social Media Ads OMG, The Best FREE Weekly Planner Template Ever!